My favorite black mock neck top is on sale! Perfect for wearing under leather jackets, blazers and capes! The ideal everyday skinny jean. I have them in a few different washes now! This chestnut suede tote. Work to weekend, it adds some festive fall color to your wardrobe. A cozy scarf (comes in 6 colors!) that can double as a blanket on the plane. Win win. For the bride, this Monique Lhuillier piece is heavily discounted and an adorable option for a rehearsal dinner! You can never have too many plain white tees! Love this v-neck style too. Love the gold rim and mixed tortoise look on these sunnies. Need a new pair to mix things up! Rails shirts are the BEST! So cozy and a lovely option for casual holiday ensembles. A fresh new pair of leather pants for the winter season. Love! These booties look like my Rag & Bone Newbury boots but for a fraction of the price. Don’t wait! 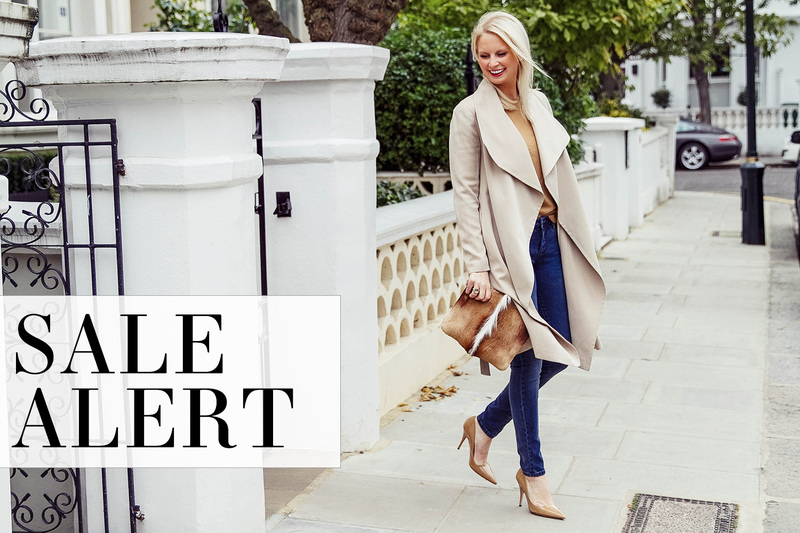 Shop the rest of my sale must-haves above! Wthe boots are a great buy! They have the best sales!! This photo of you is so gorgeous. Love the exquisite ensemble, and your playful expression. All your Shopbop picks are right up my alley. So classic and all forever staples. Keep doing what you do, Merritt! I love it. Oh and I wish you very safe travels as I know your Japan trip is approaching quickly.